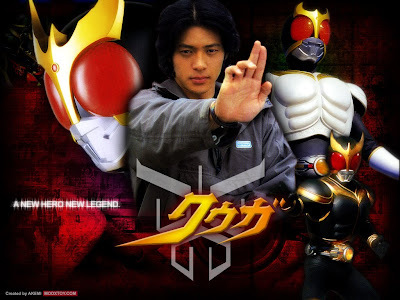 Kamen Rider Kuuga... NOW FULLY SUBBED! Kamen Rider Kuuga, a series that never had the chance to be completely subbed... until today someone broke the "Kuuga Curse." Yes, Midnight Crew Subs has just released the last episode of Kamen Rider Kuuga, SUBBED! Kudos to these guys in their efforts in subbing Kuuga for the masses. Midnight Crew Subs, commonly known as MCS, started subbing Kamen Rider Kuuga at Episode 13 up to the Finale. In case you are wondering where are episodes 1-12, they just continued where SCS Works went on under hiatus.